Wow, I’ve just realized that I’ve only posted this BFTP almost once per year. Well, I think I really need to step up my game huh? So this time around my memories had flown us all the way to Sibu, Sarawak. Where – I would say that it’s within a very strategic place at the Sarawak House Complex, Jalan Kampung Nyabor. 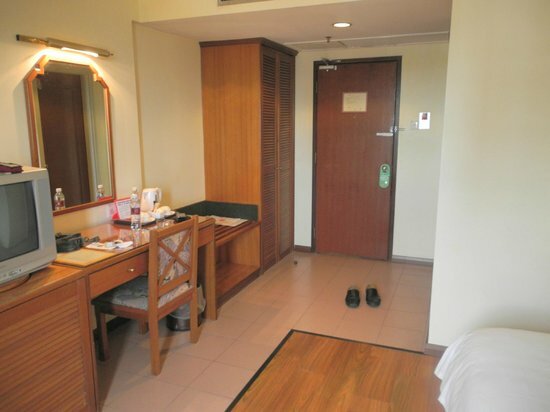 For those of us not from that area, the hotel is within the Pekan Sibu. Reasons for staying – Like I’ve mentioned before, one of my close friends from college has been bugging me to come to her hometown in Sibu for years. And since she’d been to Tawau previously, I think it’s only fair that I returned the favour and finally relented. I would say that it was a pleasant experience, although I got the impression that Sibu is smaller than I initially thought though. 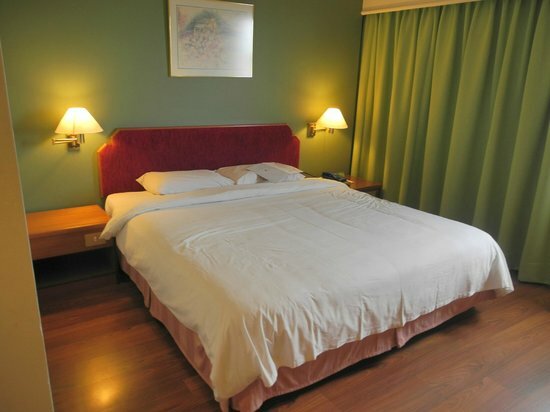 ~ the hotel is somewhat in the middle of the main town area so you are in close proximity to lots of shops and even their ‘pasar malam’. 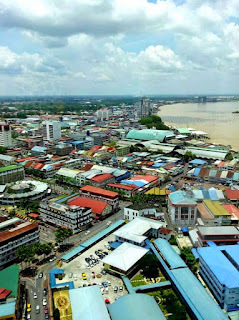 And if my memory serves me correctly, it is also within walking distance to the main ferry terminal (of course, it is the main form of inter-district transportation in Sarawak). 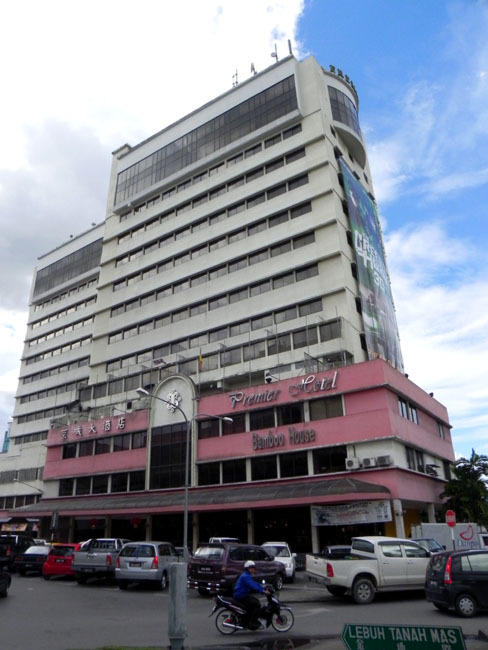 ~ the hotel is also attached to a shopping complex (but looks more like a large supermarket to me) called the Sarawak House Complex so it’s pretty convenient for you to buy your essentials. ~ the room I was given was very comfortable, with that old school charm (can also be translated as ‘dated’) and has a nice view overlooking the town. 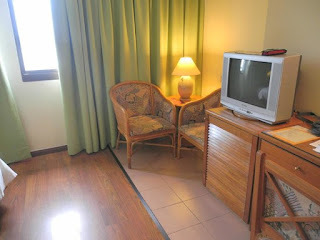 But they have since refurbished their rooms so it is more modern looking now. ~ I went out to grab a bite at the wee hours in the morning (I’ll explain why later) and was surprise to see the lobby area very darkly lit. I mean, two-lights-only darkness with only 1 staff manning the place. 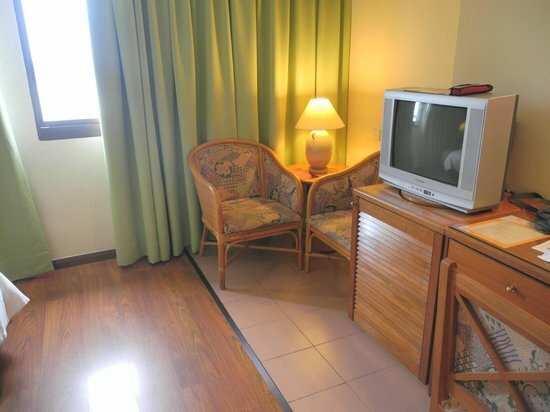 I found this very surprising since the hotel can be considered as large (and by the looks of it, one of the pricier ones at that time) so I wasn’t expecting them to be very frugal when it comes to the lobby. But then again, it was a while ago and from the looks of it now (via their current website) they have gone through renovations and are now (hopefully) much better lit than before. ~ unfortunately if you’re interested in visiting other malls in Sibu, then you do need to take a taxi to and fro since the area is quite far away from other malls. ~ I also remember the bathroom lights were off during my first night there but it has been sorted out by the second night. Memorable event(s) – I clearly remembered that the first night I checked into the hotel was also the beginning of the fasting month. So imagine me going out trying to find some place to have my first sahur of the year, in an unfamiliar town, ALL ALONE. Yup, thinking back I just realized that I was pretty bold during those days. Thankfully I do not have to walk that far, since there’s a 24 hours KFC nearby for me to grab a (very) early morning snack.